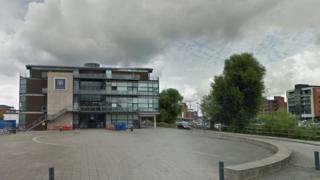 A proposed new health science centre at the University of Lincoln is to receive £5m in government cash. The award is part of local growth fund money being given to the Greater Lincolnshire Local Enterprise Partnership. It has received £29.45m for a range of projects and brings the total allocated to the region since 2014 to over £126m. Ministers said the funding would create jobs, improve skills and support businesses. The new health science centre will have clinical places for teaching and professional development across a range of health professions, the government said. Prof Mary Stuart, vice chancellor of the university, said: "This investment will help us to develop a centre that will address some of the many challenges and opportunities facing health and medicine in our region, from supplying workforce skills to developing new medical innovations." She said the university would be seeking further funding to move the project forward. The government claims the total funding provided to Greater Lincolnshire could help "create or safeguard" more than 7,000 jobs over 10 years. Local growth minister Andrew Percy said the funding would "make a real difference".